The snow covered mountain is Mt. Hunter. At over 17,000 feet in elevation it dwarfs most mountains in the lower 48 but most people couldn't name it. I really liked how the clouds were billowing behind it and the formations on the top of the mountain. The two smaller mountains and the clouds really add a sense of grandeur to the scene. 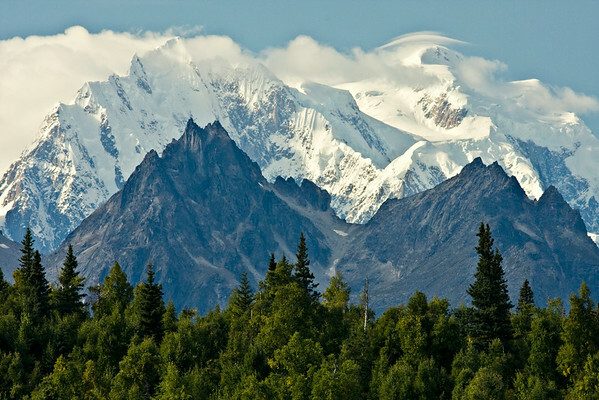 I shot this photo from the Princess McKinley Resort, two hours south of Denali National Park.